A cataract is a clouding of the eye's lens that can cause vision problems. The most common type is related to aging. More than half of all Americans age 65 and older have a cataract. In the early stages, stronger lighting and eyeglasses may lessen vision problems caused by cataracts. At a certain point, however, surgery may be needed to improve vision. Today, cataract surgery is safe and very effective. The lens is the part of the eye that helps focus light on the retina. The retina is the eye's light sensitive layer that sends visual signals to the brain. In a normal eye, light passes through the lens and gets focused on the retina. To help produce a sharp image, the lens must remain clear. The lens is made mostly of water and protein. The protein is arranged to let light pass through and focus on the retina. Sometimes some of the protein clumps together. This can start to cloud small areas of the lens, blocking some light from reaching the retina and interfering with vision. This is a cataract. In its early stages, a cataract may not cause a problem. The cloudiness may affect only a small part of the lens. However, over time, the cataract may grow larger and cloud more of the lens, making it harder to see. Because less light reaches the retina, your vision may become dull and blurry. A cataract won't spread from one eye to the other, although many people develop cataracts in both eyes. Although researchers are learning more about cataracts, no one knows for sure what causes them. Scientists think there may be several causes, including smoking, diabetes, and excessive exposure to sunlight. Problems with light. These can include headlights that seem too bright at night; glare from lamps or very bright sunlight; or a halo around lights. Double or multiple vision (this symptom often goes away as the cataract grows). Frequent changes in your eyeglasses or contact lenses. These symptoms can also be a sign of other eye problems. If you have any of these symptoms, check with our doctors. When a cataract is small, you may not notice any changes in your vision. Cataracts tend to grow slowly, so vision gets worse gradually. Some people with a cataract find that their close-up vision suddenly improves, but this is temporary. Vision is likely to get worse again as the cataract grows. Pupil dilation: The pupil is widened with eyedrops to allow your eye care professional to see more of the lens and retina and look for other eye problems. Tonometry: This is a standard test to measure fluid pressure inside the eye. Increased pressure may be a sign of glaucoma. Your eye care professional may also do other tests to learn more about the structure and health of your eye. For an early cataract, vision may improve by using different eyeglasses, magnifying lenses, or stronger lighting. If these measures don't help, surgery is the only effective treatment. This treatment involves removing the cloudy lens and replacing it with a substitute lens. You and our doctors can make that decision together. In most cases, waiting until you are ready to have cataract surgery will not harm your eye. If you have cataracts in both eyes, the doctor will not remove them both at the same time. You will need to have each done separately. Sometimes, a cataract should be removed even if it doesn't cause problems with your vision. For example, a cataract should be removed if it prevents examination or treatment of another eye problem, such as age-related macular degeneration or diabetic retinopathy. Cataract removal is one of the most common operations performed in the U.S. today. It is also one of the safest and most effective. In over 95 percent of cases, people who have cataract surgery have better vision afterward. Phacoemulsification, or phaco: Our doctor makes a small incision on the side of the cornea, the clear, dome-shaped surface that covers the front of the eye. The doctor then inserts a tiny probe into the eye. This device emits ultrasound waves that soften and break up the cloudy center of the lens so it can be removed by suction. 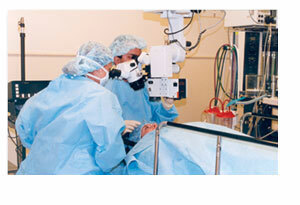 Most cataract surgery today is done by phaco, which is also called small incision cataract surgery. In most cataract surgeries, the removed lens is replaced by an intraocular lens (IOL). An IOL is a clear, artificial lens that requires no care and becomes a permanent part of your eye. With an IOL, you'll have improved vision because light will be able to pass through it to the retina. Also, you won't feel or see the new lens. A week or two before surgery, our doctor will do some tests. These may include tests to measure the curve of the cornea and the size and shape of the eye. For patients who will receive an IOL, this information helps your doctor choose the right type of IOL. Also, the doctors may ask you not to eat or drink anything after midnight the morning of your surgery. Upon arrival at Vantage Surgery Center, you will be given eye drops to dilate the pupil. The area around your eye will be washed and cleansed. The operation usually lasts 10 - 15 minutes and is almost painless. Many people choose to stay awake during surgery, while others may fall to sIeep for a short time. If you are awake, you will have an anesthetic to numb the nerves in and around your eye. After the operation, a patch will be placed over your eye and you will rest for a while. You will be watched by our medical team for a brief period before you are released to go home that same day. Since you will not be able to drive, make sure you make arrangements for a ride. It's normal to feel itching and mild discomfort for a while after cataract surgery. Some fluid discharge is also common, and your eye may be sensitive to light and touch. If you have discomfort, your eye care professional may suggest a pain reliever every 4-6 hours. After 1-2 days, even moderate discomfort should disappear. In most cases, healing will take about 6 weeks. After surgery, your doctor will schedule exams to check on your progress. For a few days after surgery, you may take eyedrops or pills to help healing and control the pressure inside your eye. Ask your doctor how to use your medications, when to take them, and what effects they can have. You will also need to wear an eye shield or eyeglasses to help protect the eye. Avoid rubbing or pressing on your eye. Problems after surgery are rare, but they can occur. These can include infection, bleeding, inflammation (pain, redness, swelling), loss of vision, or light flashes. With prompt medical attention, these problems usually can be treated successfully. When you are home, try not to bend or lift heavy objects. Bending increases pressure in the eye. You can walk, climb stairs, and do light household chores. When will my vision be normal again? You can quickly return to many everyday activities, but your vision may be blurry. The healing eye needs time to adjust so that it can focus properly with the other eye, especially if the other eye has a cataract. Ask your doctor when you can resume driving. If you just received an IOL, you may notice that colors are very bright or have a blue tinge. Also, if you've been in bright sunlight, everything may be reddish for a few hours.  If you see these color tinges, it is because your lens is clear and no longer cloudy. Within a few months after receiving an IOL, these colors should go away. And when you have healed, you will probably need new glasses. Sometimes a part of the natural lens that is not removed during cataract surgery becomes cloudy and may blur your vision. This is called an after-cataract. An after-cataract can develop months or years later. Unlike a cataract, an after-cataract is treated with a laser. In a technique called YAG laser capsulotomy, your doctor uses a laser beam to make a tiny hole in the lens to let light pass through. This is a painless outpatient procedure. When cataract surgery is performed, an intraocular lens (IOL) replaces the cataract to improve vision. Typically these IOLs can improve vision at one distance – for either distance or near vision. This IOL is chosen specifically for you and your needs; this will be determined before surgery by you and your doctor. Most patients opt for perfect vision in the distance and therefore will require reading glasses for near work. However, if you desire to minimize your need for glasses, you may be a candidate for special IOLs including Toric lenses if you have astigmatism, or refractive lenses like the Crystalens which can help eliminate the need for reading glasses.